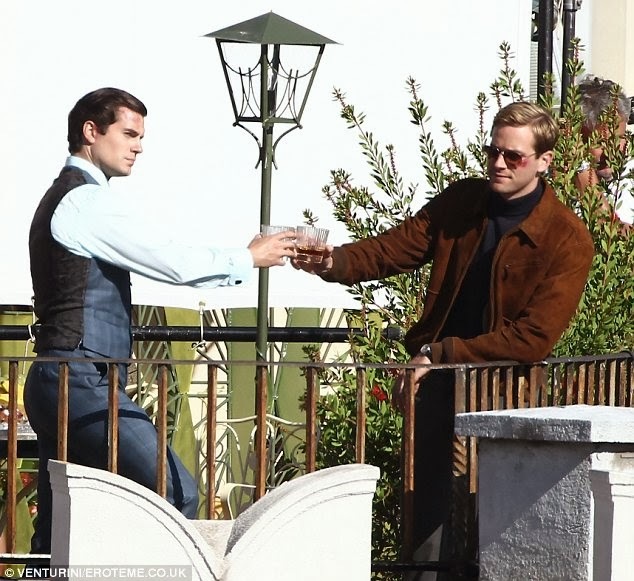 Henry Cavill News: Let 'The Man From U.N.C.L.E.' Promo Begin! 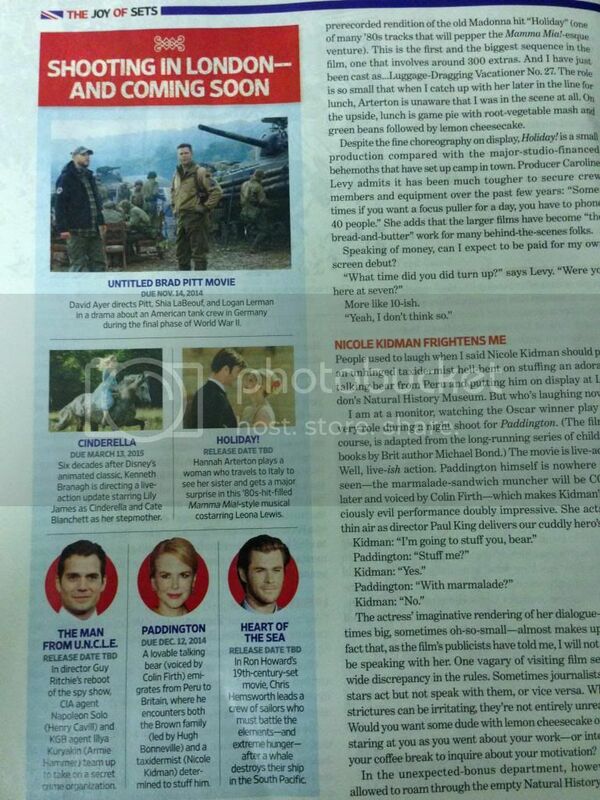 The November 29th issue of Entertainment Weekly features the first promo article about The Man from U.N.C.L.E. 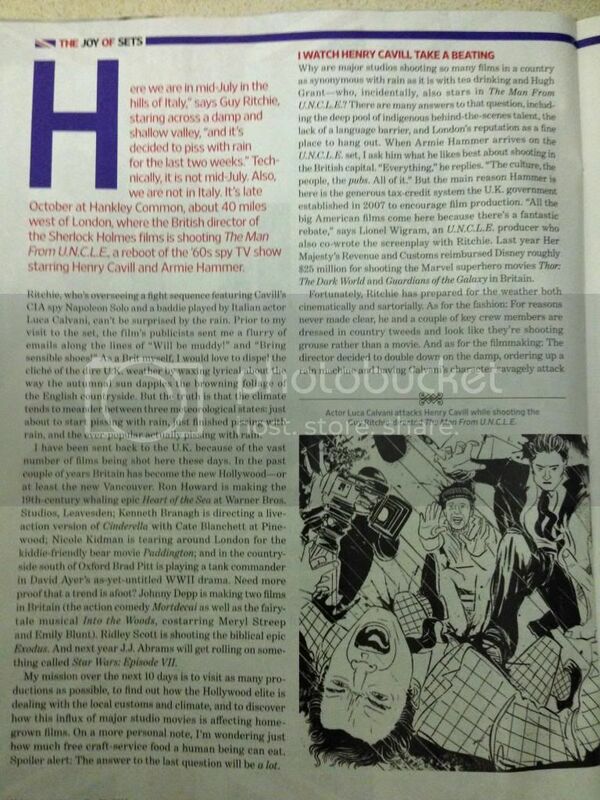 They sent a reporter to visit one of the film's UK sets and in the scene Henry is so getting his *** kicked. 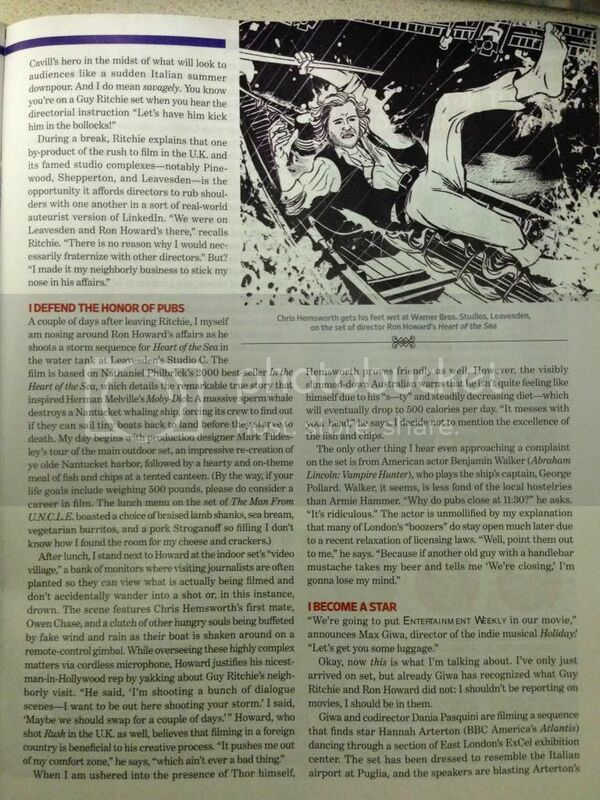 EW mentions they were on the Hankley Common set, that we told you about last month. We also noticed that in the drawing that shows Solo getting a beating from Luca Calvani's Alexander, Henry and Armie are wearing outfits that look very familiar.. bruises included. While EW lists the release date for The Man from U.N.C.L.E. "to be determined," it also mentions the film is "coming soon." Solo, we can hardly wait!